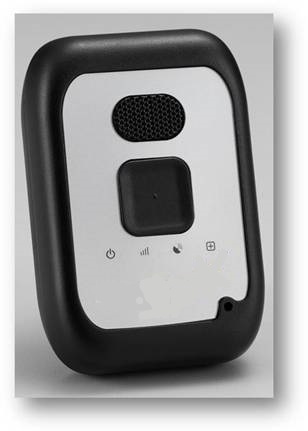 The Mobile PERS is an easy-to-use, small and light weight emergency communicator. At just 10 ounces, it helps you to remain active and mobile while still enjoying the peace of mind that help is just a push of a button away. Call 877.449.5566 for additional information. Your caregivers will receive email and/or text messages when the device crosses predefined boundaries. The device will send web, text, or email notices when low battery conditions are met. Instead of using a micro USB to charge like so many other Mobile PERS devices, this one utilizes an easy-to-use drop-in cradle. Additionally, the device recharges from 0% to 100% in approximately 1.5 hours. Devices are warrantied against defects in materials and workmanship for a period of one year. The following are not covered under the warranty: Battery failure, damage caused by accident, abuse, misuse, water, flood, fire, and other acts of nature or external causes, cosmetic damages due to ordinary use, such as scratches, nicks, and dents. If a device has been modified without consent, the warranty is voided.